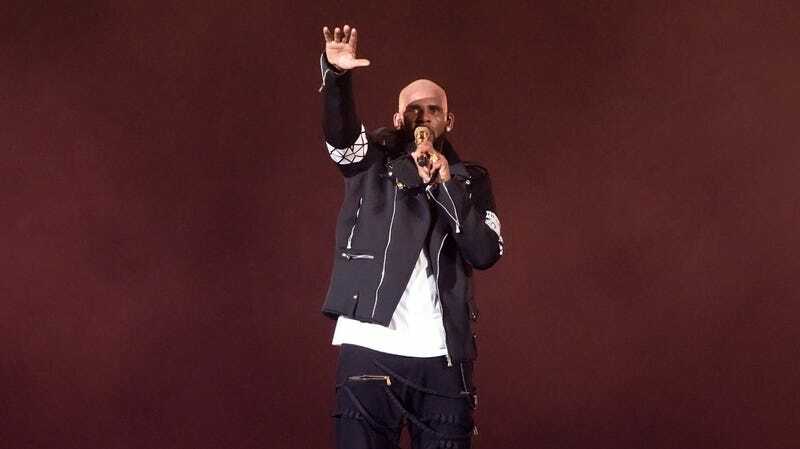 R. Kelly performs during The Buffet Tour on May 7, 2016 in Chicago, Illinois. The much-anticipated night of Lifetime’s Surviving R. Kelly has come, and right on schedule, Robert Kelly is threatening legal action. According to TMZ, Kelly’s lawyer Brian Nix is threatening to file a federal lawsuit against Lifetime if the network doesn’t backpedal on deciding to air the documentary special. We have a feeling it’s going to air as planned, despite the legal threats. In an interview with Shadow & Act, executive producer Dream Hampton noted she was “at war with R. Kelly.” Hampton also touched on the difficulties concerning celebrity participation. The consecutive three-night event of Surviving R. Kelly begins Thursday, Jan. 3 at 9 p.m. ET on Lifetime. Additionally, The Root talked with Andrea Kelly, Kitti Jones, Jerhonda Pace and Angelo Cray in anticipation of Lifetime’s documentary. Due to the serious accusations and allegations made in the video, we have reached out to R. Kelly for comment.